Cindy Crawford has proven herself a woman of many talents. She achieved international fame as an actress and model, being one of the original supermodels. In 2005 she turned her interests to home furnishings and created the “Cindy Crawford Home Collection”. 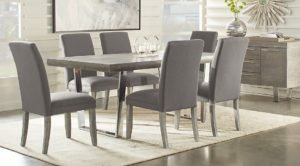 In this Cindy Crawford furniture reviews you will learn the history of Cindy Crawford furniture, their values, the furniture products they produce, reviews of their furniture and their warranty information. We are often asked which pieces by Cindy Crawford are our favorites, and it's a difficult question. There are so many different types and styles of pieces available that it can be hard to pick only a few. Because of this we have made a comparison table below to quickly talk about our favorite pieces! She consulted on the features, styles and colours and had direct input into the furniture. All of the items were designed to fill the needs of the customer and provide elegant solutions to the every day. In 2009 Cindy Crawford teamed up with Raymour and Flanigan Furniture to create another home furniture line. Again she had direct input into the design and planning process, helping influence the final products. Since then Cindy Crawford has been associated with multiple retailers and home furniture lines, including the popular rooms to go range. Nowadays Cindy Crawford is synonymous with home furniture and people associate the name with the style and sophistication they’ve come to expect from the range. 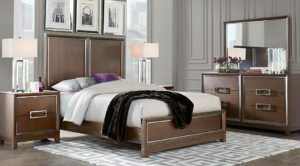 The Cindy Crawford Home collection is now fairly diverse with each product representing the values of style and quality. Developed specifically with a unique blend of innovation, technology, style and variety. In terms of style, quality and price I think this brand of furniture is relatable to Smith Brothers Furniture. Cindy Crawford Home collection includes products for the whole home. 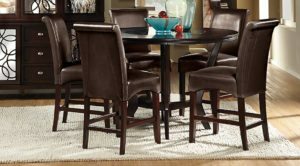 There are dining room sets, bedroom collections, home office furniture as well as accessories. The heart of the collection has always been the living room range, which has proved to be the most popular. Cindy Crawford products are produced by a few different manufacturers so quality can vary slightly. Generally the materials and methods used are creating reliable furniture that is standing up to wear and tear throughout homes in America. 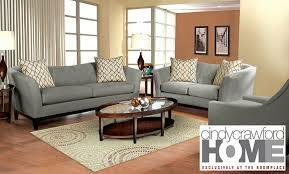 Most of the Cindy Crawford range feature a hardwood frame covered with velvet microfibre fabric. 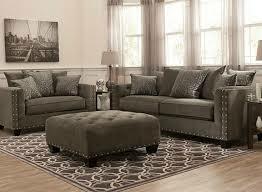 Refined tufting and a merlot finished wood base complement each piece. The result is a sofa that is designed to be tough and durable but also comfortable and stylish. Let’s take a look at some of the more popular products in the Cindy Crawford line. Just like buying an individual unit you can customise the colour and fabric. There are over 7 different colours to choose from so you can have a fairly free design choice. You can also choose between fabric, microfibre and leather furniture. Each of these gives a different look, but leather is the most durable and often the most popular. 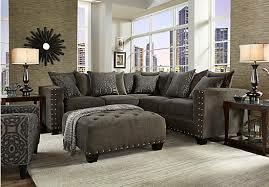 That being said, microfibre as shown by Arhaus is a great example for an extremely comfortable and smooth looking! You can also customise the range of motion of your sofas and chairs. Small mechanisms are fitted to your units, using advanced technology. These allow your units to perform functions like reclining or folding all the way back as a sleeper. Recliners are the ultimate in comfort and relaxation and a great addition to any home. 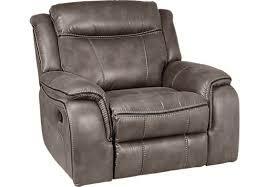 As the epitome of comfort and relaxation in the home recliners are incredibly popular across America. The Cindy Crawford collections feature a range of different recliners which can be customised by the buyer. You can choose between transitional or contemporary, each giving a different contrasting look. 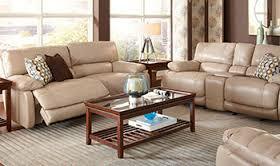 For recliners the most popular choice tends to the leather, which provides a classic look and increased durability. The leather comes in a range of different colours with unique finishes. Finally you can select which type of motion you’d like your recliner to have. Choose between Glider, Power, Reclining or Rocking motions, sit back and relax. The Cindy Crawford Recliners are all stylish with some great features for the modern lifestyle. The Cindy Crawford collection has successfully brought together style, quality and value in the home with it’s stylish but affordable feel. The whole idea behind it is letting mid range buyers have access to higher quality design, that are extremely comfortable and allow you to relax. The sets are brought together effectively with extra tables, lamps and storage completing the style. Unlike other furniture providers the Cindy Crawford collections are less focused on the individual unit but rather how the whole room fits and works together. It’s a makeover for the whole living room and a way upgrade your whole room. The Cindy Crawford range acts as a middle ground between a home decoration consultant and a home furniture manufacturer, helping you picture the room you want and providing the tools to make it come to life. We got our giant sectional at rooms to go. It was around $2,500 and has been worth every penny. It is one of the Cindy Crawford microfiber ones in a nice grey color. As for ease of cleaning, we paid the extra money to have it treated (and I know that the store was recently in hot water for not actually applying the fabric treatment, but ours was definitely treated) and there is still not a stain on it. My kid scribbled on the whole thing with a ball point pen, and the fabric cleaner we got with the couch took it right out. (I did have to scrub a bit, of course, but it came out.) The sections are small enough that moving is pretty easy, plus the legs are covered in thick felt, so we just slide it on our hardwood floors when we need to clean. 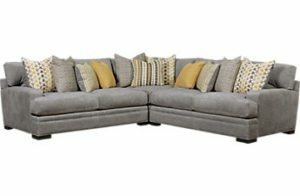 I didn't see our exact sofa on the website since it is a few years old, but I would think that the newer models are equally comfortable and high quality. 10/10 all around. 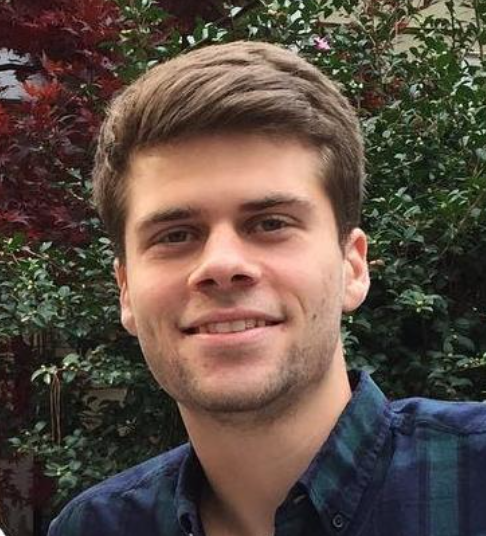 “The foam in the cushions is flat and the fabric is worn. We took the pillow casings off to dry clean and the stuffing was a mess” - Samson T.
Mistakes do happen with any brand and it’s incredibly frustrating for the customer when it does. Our advice is to allow some time upon arrival to look at the products in depth. Make sure you’ve discussed it all with your retailer as they will be the ones dealing with your complaints. Overall everyone seems incredibly pleased with their Cindy Crawford home furniture. They’re impressed with the style, quality and durability and believe it’s brought value to their home. Cindy Crawford furniture is covered by a standard warranty of 1 year. This covers all defects and workmanship errors but be careful because standard wear and tear isn’t covered. Rooms to go (the main supplier of Cindy Crawford furniture) apply a unique “forcefield” protection to their fabric and leather. This protects and preserves the material, and means they’re happy to give a 3 year warranty on fabric and leather. Cindy Crawford Furniture warranty is fairly standard but you can have the confidence that your new furniture is protected for at least a year. Cindy Crawford is more than just a face and name used to sell products. Their whole range shows an understanding of the everyday customers needs and the problems they face. The products prove that you don’t have to have a really big budget to have a great living room, another budget friendly brand is CR Laine. Cindy Crawford home furniture is allowing mid range budgets to completely rethink their living room and create a stylish home they’re happy to show off. 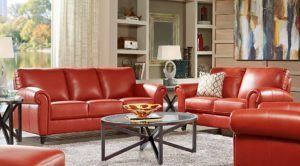 If you are looking for other furniture reviews, head over to our living room product reviews page.